It’s about a unique space where two communities come together. 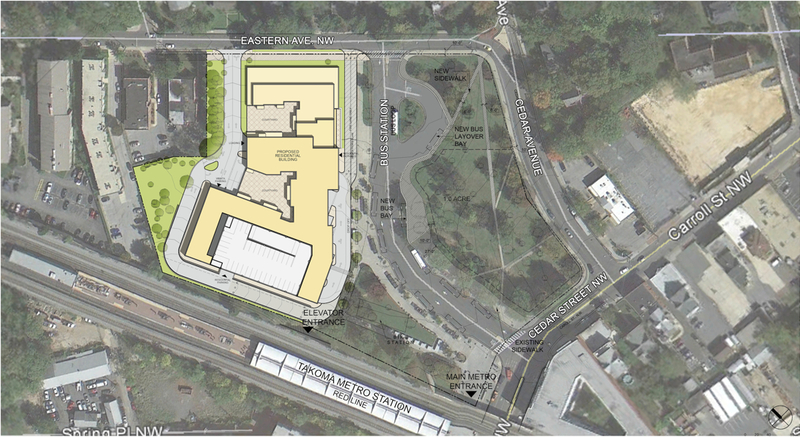 EYA is proposing to build a residential community located at the existing Takoma Metro staton parking lot. An underutilized space wedged between Takoma, DC and Takoma Park would transform into a vibrant residential community complementing the existing neighborhood and providing connectivity to the broader community. We are in the beginning stages of a multi-year approval process which began with WMATA’s Board of Directors approving a contract for EYA to build a new community. We haven’t reached the design phase yet. When the design phase begins we will work with local residents to ensure the new community will be an asset in the neighborhood and is something everyone will enjoy.